It’s been quite a while since my last post, but this is definitely worth a share! The Limited sent me a coupon in in the mail: $20 off your purchase of $20 or more. Plus, the whole store was 60% off! 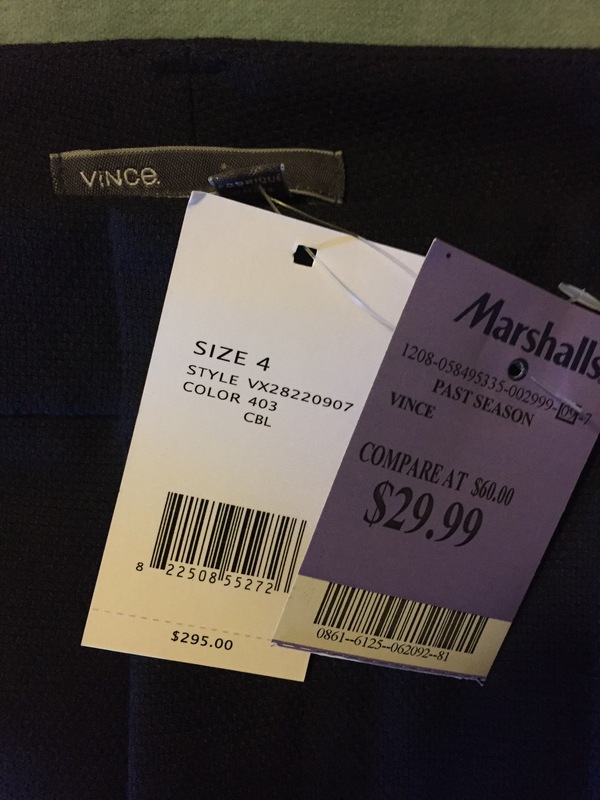 I found an incredibly comfortable pair of black pants marked $59.95. The best part: when I went to the register, they took the % discount before the dollar discount (most stores won’t do that)!! 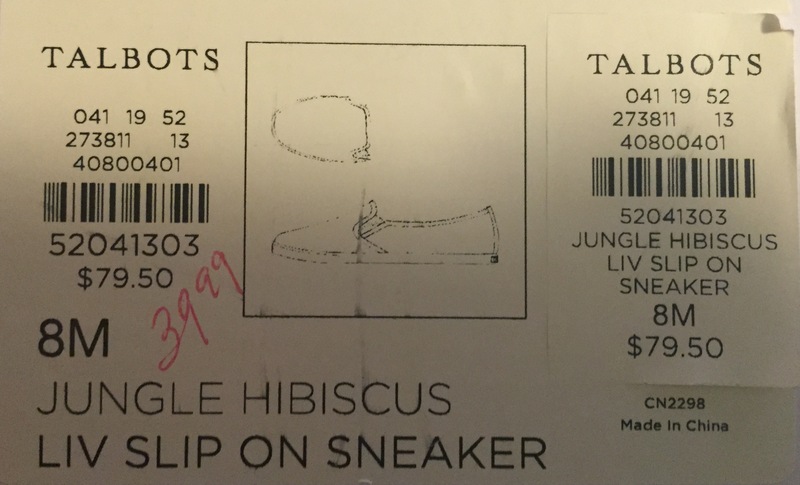 Conclusion – $60 pants for $4.23 WITH tax. Over 92% off!! ‘Till next time – make the most of your dollar! Today I had a realization: mid-week shopping is incredibly peaceful and relaxing! Parking is easier, lines are shorter, it’s quieter, and you don’t have to fight the crowds! Unfortunately, I don’t get the mid-week shopping luxury often but I took a vacation day today!! Remember that Vince tee that I scored at TJ’s a few months back for a fraction of the normal price? (It’s become a staple and I’ve literally worn it every week since) Well, today Marshalls was fully stocked with Vince separates for autumn. 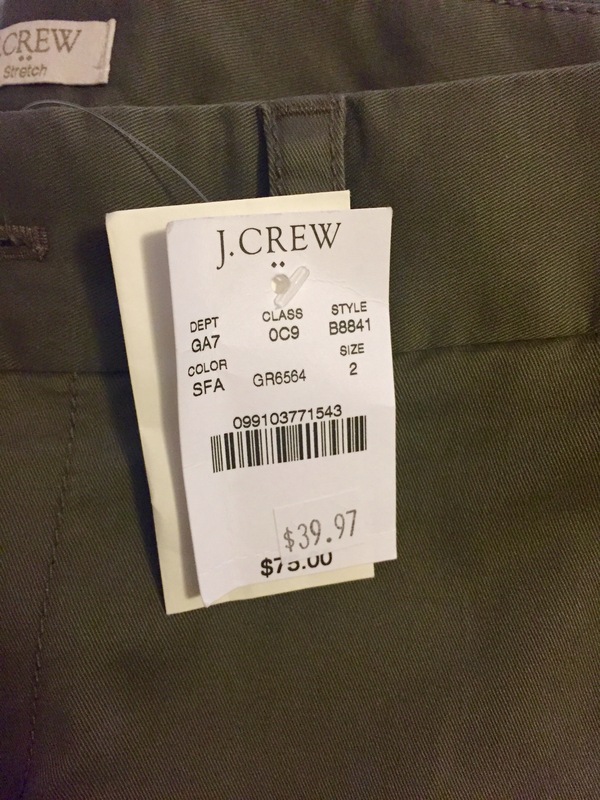 I got this amazing pair of pants for under $30 – that’s 90% off the original price! Even their outlet store prices are WAY higher. These are certainly going to become a wardrobe staple, just like the tee. They are extremely comfortable and feel like leggings, yet they look like trousers so I can wear them to the office! ‘Till next time. Keep saving! Okay. I’ll make this post short & sweet. It’s been a successful week. Besides doing a CVS run full of everyday essentials worth $78 for under $10 (9 to be exact)… I also found something I’m constantly looking for: a plain navy tee! Throughout the past month, I’ve said “I wish I had a nice plain white [or navy] tee” more times than I could count. So today I stopped at TJ’s (I had a gift card!) and found the perfect navy one within a matter of minutes!! Soft, not too tight, flowy but not baggy, and not too short!! AND 80% off the original price! This Vince Tee is the perfect wardrobe addition. While the $125 price tag is outrageous – $24.99 isn’t that bad for a staple! Now if they only had it available in white too!! As the hours of daylight get shorter each day, and the nights get just a little bit cooler, stores need to make way for their new autumn inventory – and that’s good news for shoppers! 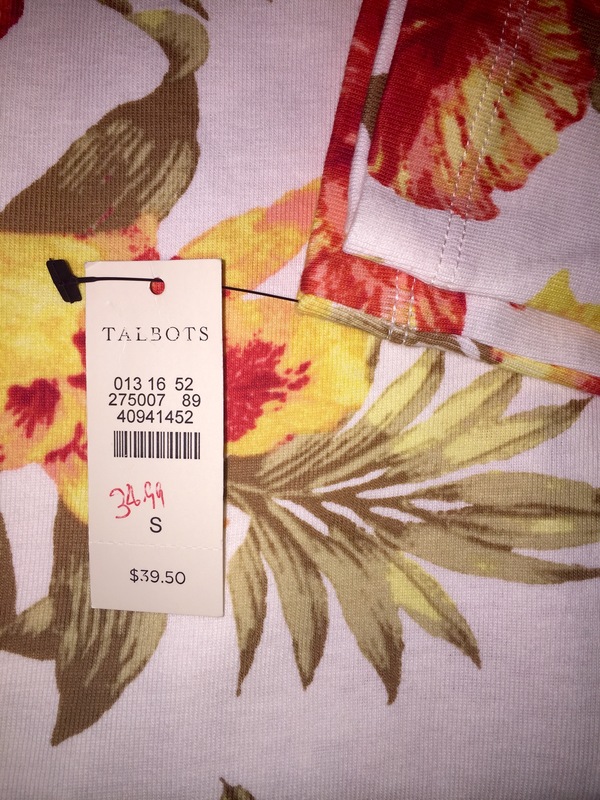 Take Talbots for example: about a month ago, they marked down their entire summer line and added an additional 30% off sale prices soon after. 30% turned into 40% off… and now the sale has deepened even further to an additional 50% off most clothing, and an additional 60% off shoes, accessories & dresses! Honestly, the longer you wait, the better the sale will be. By mid August, the sale at Talbots can reach anywhere between 70-80% off the already marked-down prices – and they’ll still have plenty in stock to choose from! Unless you fall in love with an item, and it’s the last one left in your size – be patient! Extra Savings Tip: If you have a Talbots charge card, you will save an additional 5% on top of all the other savings this weekend! Or if you open up a new card, you’ll get an even better deal – an additional 15% on top of all other savings! Be sure to sign up for a free rewards card too, so you can build up points toward rewards certificates with every purchase. ‘Till next time, be patient … and stay stylish!